Not Hiring A Professional To Sell Your HomeTrying to sell your home by yourself is sheer madness. You need the expertise of a professional. 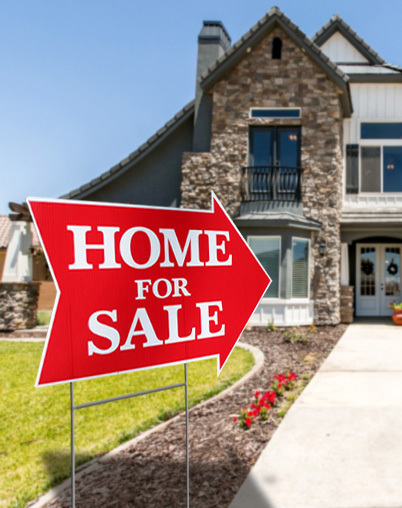 The numbers also don't lie abouy home sellers who try to do it themselves often end up taking longer to sell and sell for far less than homeowners who work with an agent. Refusing To Remove Your Clutter And Junk Prior To The SaleClutter eats equity and kills deals. One of the least expensive improvements you can make to your home is to declutter and create a sense of spaciousness throughout, from the kitchen countertops to the overstuffed closets to the trophy-lined shelves in the den. It costs you nothing to get rid of all that stuff, and yet it reaps big rewards. Selling Your House EmptySelling an empty house makes buyers feel the same way: empty. I'm a firm believer that a home should be dressed or staged. Don't worry, you won't need to go out and buy new furniture and accessories. Chances are, you have plenty to choose from already; in fact, that's usually the problem (see tip four, above). Editing out items and lots of them, may just leave you with the perfect amount of furnishings for a simply staged home (space is your friend, after all). If your furniture is already in another house or taking a cross-country trek, I highly recommend making the small (but mighty) investment in a local stager to give the for-sale home a new look that will charm potential buyers. Letting Your Ego Get In The Way When NegotiatingToo many sellers take negotiating personally and lose out on creating a win-win deal. Remember, this is a business transaction and perhaps the biggest one of your life. Take your ego out of the equation and put your head back into it. Using Lousy Photos This is my pet peeve. I do segments on several TV shows, and I'm always looking for great houses to showcase on-air. I can't tell you how many awesome homes have horrible camera phone photos in their sale listings. Now, more than 90% of all buyers start their home search online, so you'd better make sure you and your agent nail your homes close up! You won't ever get a second chance to make the perfect first impression. It's a challenge to keep your home in tip-top, showing condition at all times. Children, pets, and personal living habits tend to add some clutter. Also, the Realtor's call informing you that he's coming by with a potential buyer often comes as a surprise. Here is a list of last-minute items to attend to between the Realtor's call and his arrival to show your home. Box up and remove extra clutter, toys, etc. from the home. Put what you can in storage, and do all you can to make the home, the garage, and the storage areas as open, clean, and clutter free as possible. Repair and replace anything that is broken, worn, or unsightly. This includes painting the soffit and fascia, cleaning the porch and entryway, spraying and cleaning windows, etc. Make sure the door knobs, faucets, and handles all work properly. You may even consider new carpet and interior paint -- as it may be an investment that will bring give you a much greater return in the end.